Did you know that St David’s Church is available for funerals? We are privileged to offer our beautiful sacred space for the funeral of anyone who lived within the parish boundaries or had any kind of connection with St David’s. For a variety of reasons fewer people choose a church funeral these days. You may feel that the Christian faith will be presented in an insensitive way that doesn’t honour the unique identity of your loved one. At St David’s, our first concern is not to use a funeral as an evangelistic opportunity. Our first concern is to meet the needs of a bereaved family, and offer you friendship and the support and help you need, at your time of loss. At church you are not confined to half an hour as you may be at the crematorium. At church we can provide an organist to play your choice of music, or you can bring a CD, which we will play through our sound system. We won’t disapprove or tell you that something is inappropriate or not Christian. We will read the readings of your choice, whether it is the Bible or another favourite piece of prose or poetry. We will listen to your memories and help you to speak about the person who has died. If you don’t feel that you can, then the minister taking the funeral will use your words and memories to construct a respectful, truthful and full eulogy. Often humour is appropriate at a funeral as you remember the warmth of a friendship, the special qualities of the person you loved and amusing stories from their lives. At St David’s you will be in a beautiful place that has been enhanced by the prayers of generations of people. There is an atmosphere of reverence and calm. For some people a church funeral service, with a focus on saying thank you for a life well lived, adds depth and meaning to a sad time. We have a rich resource of words, music and prayers, which may speak for you when you cannot find the words to say. 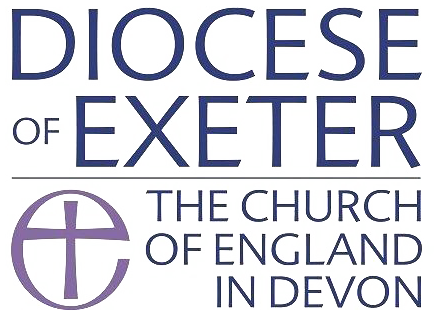 Visit the Church of England website providing resources for organising funerals.